Rejuvenation of Terracotta tiles at Melbourne University. The University of Melbourne is an old grand lady that requires cleaning techniques that respect its age and beauty. We are always aware of this in the course of any work we perform there. 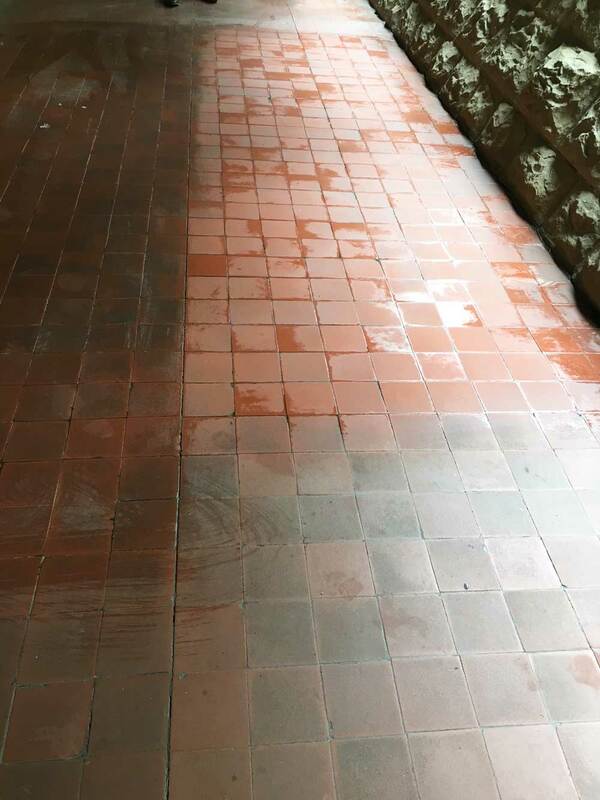 A recent example of this was the rejuvenation of some terracotta tiles. Using cold water and our environmental friendly products the area is heavily mopped . After 10 minutes we gently machine scrubber the area with soft brushes . The area is then vacuumed with a wet and dry vacuum . The tiles are then neutralised and allowed to dry. Result : The terracotta looks rich and vibrant again.